Since I am currently writing a book on Christianity in the second century, my research has been focused on some of our earliest patristic texts. These texts are a treasure trove of fascinating statements and declarations that provide tremendous insight on what early Christians really believed. Some of my prior posts on this theme include discussions of the persecution of Christians, early Christian sexual ethics, the divinity of Jesus, and the doctrine of substitutionary atonement. Most recently, I came across an amazing paragraph in one of our earliest Christian apologies. Aristides, a converted Athenian philosopher, wrote an apology to emperor Hadrian around 125 A.D. As such, it is one of the earliest patristic writings we possess. It is a lengthy treatise which compares the God of Christianity with the gods of the barbarians, the Egyptians, and the Greeks. The Christians, then, trace the beginning of their religion from Jesus the Messiah; and he is named the Son of God Most High. And it is said that God came down from heaven, and from a Hebrew virgin assumed and clothed himself with flesh; and the Son of God lived in a daughter of man. This is taught in the gospel, as it is called, which a short time was preached among them; and you also if you will read therein, may perceive the power which belongs to it. This Jesus, then, was born of the race of the Hebrews; and he had twelve disciples in order that the purpose of his incarnation might in time be accomplished. But he himself was pierced by the Jews, and he died and was buried; and they say that after three days he rose and ascended to heaven (Apol. 2). 1. The divinity of Jesus: “God came down from heaven…” In the mind of Aristides, Jesus is not an angel, or a semi-divine being, but the very God of heaven itself. 2. The incarnation: “clothed himself with flesh.” In very vivid language, the author affirms that Jesus is God enfleshed; he took upon himself a real human body (contra the Docetists). 3. The virgin birth: “from a Hebrew virgin.” This doctrine flows naturally from the prior two. If Jesus is God, and he took on human flesh, then his conception would be distinctive from other human beings. 4. The authority of the Gospels: “taught in the gospel…and you also if you read therein, may perceive the power which belongs to it.” Notice for Aristides, there are books called a “gospel” which you can “read” to learn more about the person of Jesus. Moreover, these gospels contain a certain “power” which the reader can discern. 6. His death on the cross: “pierced by the Jews.” This is a clear reference to Jesus’ crucifixion under Pontius Pilate at the request of the Jewish leadership. 7. His resurrection: “after three days he rose.” Jesus did not stay in the grave but was raised from the dead. 8. His ascension: “ascended into heaven.” Jesus returned to his former heavenly home, in a position of power and glory. This is a surprisingly thorough and wide-ranging summary of core Christian doctrines at a very early point in the life of the church. And it was this form of Christianity that was publicly presented to the Emperor. Once again, we can see that core Christian beliefs were not latecomers that were invented in the fourth century (or later), but appear to have been in place from the very beginning. Where would I be able to find a copy of this apology to read? Thanks for the great article! Thank you for this post and for your work, Dr. Kruger. I look forward to your book. Dr. Kruger, thanks for the post. Given that there is so much meat in this early second century apology, how come the major scholarly works on the development of canon haven’t given it much attention for establishing the origins of canon? I’m thinking particularly of Koester (Ancient Christian Gospels), McDonald (Formation of the Biblical Canon), Hill (Who Chose the Gospels? ), Bird (The Gospel of the Lord) or your book The Question of Canon? Are there critical issues associated with the Armenian and Syriac manuscripts that make it difficult to use in the scholarly guild? The reference to the reading of “the Gospel” seems to have much potential – have scholars missed this? Thanks so much for this blog and its service to the church and the academy. I think it probably hasn’t received much attention because the apology doesn’t tell us which Gospel is being read. However, I do think it tells us that written accounts of Jesus played a central role in the early Christian movement–indeed enough to mention it to the emperor. I did mention this text in my book Canon Revisited, chapter 4. Thanks, Dr. Kruger. I wonder if one could find Gospel allusions in this apology and potentially reconstruct which Gospel(s) Aristides had access to (similar to the arguments made by Stanton and Hill about Justin Martyr’s Gospel collection)? I look forward to your book on second-century Christianity – a field that in which it is great to see evangelical scholars make an impact! Unfortunately, that won’t work for Aristide because he rarely talks about Jesus and/or Jesus’ teachings–so there would be little to compare. Also, we don’t possess his work in Greek, which complicates things further. I need to make a correction – I just did my homework and found that Dr. Hill actually does mention Aristides in his book “Who Chose the Gospels?” (pp. 179-82). I read his book last year and greatly benefited from it. Sincerest apologies to your colleague! Wow! When will your book be out? Dr. Kruger, there’s no mention of the deity of Christ in this translation. Pre-existence yes, but not deity. What translation are you using here? Which is the Syriac, not the Greek – but I am curious what the differences and the origin of both are. Dr Ron Heine is a great resource for this period. Will your book be addressing the concepts of sola fide and sola scriptura (although not by those names) in the early church fatherd? This seems to be such a hot point of contention in Protestant vs. Roman apologetics. If not do you have any recommendations on that subject? With such statements as these, not sure the author could say “Jesus is a second and lesser god.” Thus, the Syriac at least seem consistent with the same theological positions outlined in the Greek version, even if it is not original. DR Kruger what is the earliest copy/fragment we have of this writing? 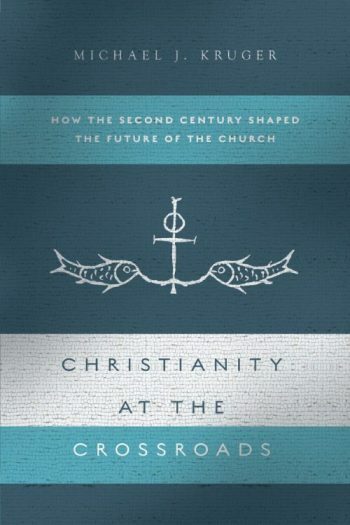 Thanks for this interesting look into second century Christianity. After reading the jefferson bible, i find my understanding of the life of Jesus to be more clear. This simple letter does a great job of putting the ideals of Christianity into plain, understandable text. I look forward to the final product. One person you may consider contacting is Fr. 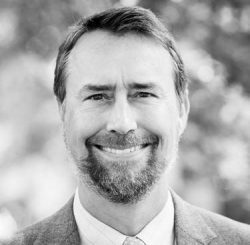 Josiah Trenham, a PhD in Theology with emphasis on Patristic writings. Was the Roman Catholic Church started by Peter in Rome? not sure how this relates to the article… the answer to your question depends on what you mean…the catholics trace their “apostolic succession” from the present pope in an unbroken line to peter, considered the first pope, so in that way, yes. but the church was not known as Catholic (notice the big C) until it had to be distinguished from the protestants. The “Roman” part just refers to the particular rite of Catholics, which is predominate in north america and most of europe, there are however, other rites, such as Ukranian, which are just as Catholic and follow the pope, but have a few different traditions. i think i got most of this right, might have erred on a few small things but nothing really that matters. Great article, I have shared this on Facebook, looking forward to your book. Yeah, it looks like the portion I referred to has been moved, to serve the purposes of B&J. Still, “Son of God” is more to be expected than “God” in the part you’re looking at (in this era). About monotheism, I think Justin flies that banner just as hard, and in about the same era – yet he thinks of the Son as I described above. It’s consistent with the uniqueness of God that there should be other beings we call “god” or which are divine in some lesser sense. See Origen’s commentary on John on this – he distinguishes four usages of theos, and it is clear that the Father is in one, the Son in another. This is all very much in keeping with early to mid 2nd c. statements, it seems to me. It is the norm, e.g. in 1 & 2 Clement, Didache, Barnabas, Hermas, to refer to the Father as the Creator, not the Son or the whole Trinity. Not sure what translation you are using for the Trinitarian statement (which, just for clarification, I called “Trinitarian-like”), but the Loeb series uses “in” and this faithfully reflects the Greek: en uiw monogene. Thus, I think “in” is the better option here. Regardless, I think one must admit it sounds awfully close to the Trinitarian language used in the NT, and used later in other patristic writers. As for whether the last “Him” in the statement refers to just the Father (as your bracketed insert suggests), that is debatable. This is more in line with my apostolic oneness understanding of God than in trinitarian or arian belief systems.